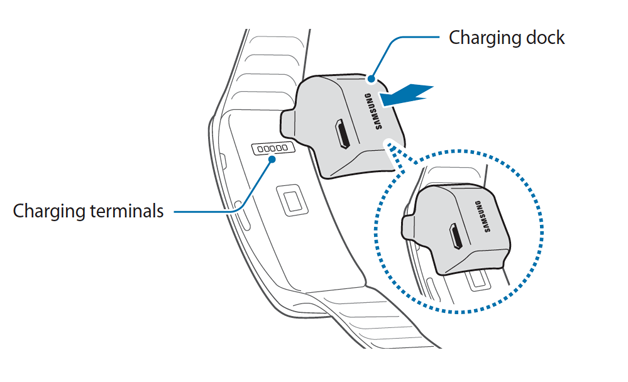 Locate the charging terminals on both the Samsung Gear Fit and the charging dock. 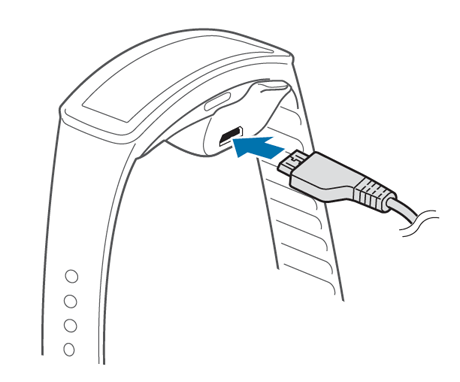 Place the charging dock on the back of the Gear Fit so that the charging terminals on each device meet. Plug the USB connector into the dock's charging port and plug the other end of the charger into an electrical outlet. Fully charge the Gear Fit before using it for the first time. When the charging is finished remove the dock from the device. Turn on the Gear Fit by pressing and holding the Power key for a few seconds.